Cash flow is a perennial problem for many business owners especially those who provide services over products. The reason is simple: payment for services is usually made towards the end of the contract term and rarely up-front. Even payment for physical products is rarely done at the time of sale these days. Again, the reason for this is simple: the longer any business can delay making a payment means time they can use that money for their own use. While that’s good for them, for your business it can lead to cash shortfalls which puts your business at risk. That is where Invoice Factoring comes in. For established business, cash flow normally isn’t a problem. With regular clients, a company can manage their month-to-month expenses quite easily. This isn’t as true for start-ups and smaller businesses that haven’t developed their client base or where one “hiccup” can lead to unexpected cash outlays. Also many small companies run into cash-flow problems as they grow from a small company into a larger one. 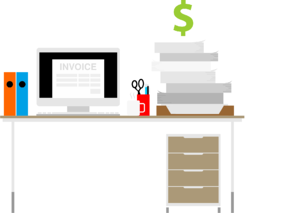 How does Invoice Factoring help ease cash flow problems? The central issue is time. Say you own a new start-up IT business. You’ve develop a few clients who use your services but the payment for that can be delayed depending on the contract. Sadly, as a start-up, your bargaining position is often weak so to get a client, you may have to take on a contract better for the client than you. So while you have to pay your employees and meet your day-to-day bills, your “paycheck” may be months if not an entire quarter away. To get that money now is where invoice factoring comes in. Invoice factoring is a rather simple concept: you are paying a company like Bay View Funding to give you what is essentially a flexible cash flow solution. The collateral is the future payment your client will make on the services/products you provide. So instead of waiting until the end of the contract period for payment, you get the payment almost immediately, to be used to continue day-to-day operations. You no longer have to worry so much about the uncertainty that comes with delayed payment or whether or not your company can make it through the next payment period. Invoice factoring in one form or another has been traced back as far as ancient Mesopotamia as a form of it was enshrined in the Code of Hammurabi. So this business method isn’t some financial fad. What you, as a business owner, should do is be proactive when making contracts to factor in the fee during negotiations. If you go into a contract knowing how much Bay View Funding’s services cost, you can hopefully negotiate a deal where the cost of invoice factoring is mitigated. Thus, it becomes a handy tool in your financial toolbox to smooth out your cash flow. Of course, any sort of cash advance program comes with some degree of risk. Using invoice factoring means that your contract has two players, the client and the factoring company. If there is a delay in payment from the client, this makes you liable to the factoring company. Fortunately, invoice factoring holds minimal financial risk—much less so than other cash advance options, like taking out a loan, for instance. Furthermore, without invoice factoring, a delay in payment from a client could be traumatic for your business, stagnating the cash flow and impeding growth. Invoice factoring is a solution that is much more sustainable for businesses than floating money or waiting upwards of 90 days for invoices to be resolved. If you are a business owner who wants to take control of their cash flow, contact Bay View Funding today to see if invoice factoring can help you grow your business!